Not knowing what 'Ambien' was I googled it and am wiser now. (First time I've heard of it being used as an excuse for unforgivable behaviour). Pity it didn't put her to sleep quicker - and for a long, looooooong time. Seems this is just another variation of 'in vino veritas'. Scratch a racist - and guess what you find? A RACIST! 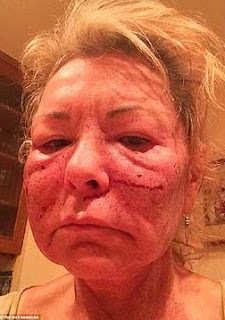 Roseanne: "I 'Ambien' a racist. I don't understand voracious hypocrisy. Maybe they don't notice it? It's like people bad mouthing others' children for the same behavior that their kids are doing. I like the way Raybeard thinks.